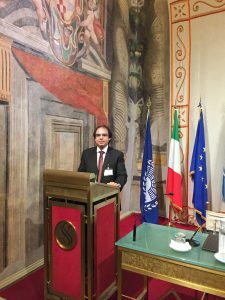 Mohamed El Guindy was invited by the UNODC to participate in Regional Seminar UN/PAM for Parliamentarians in Italy as a Cybersecurity Expert. 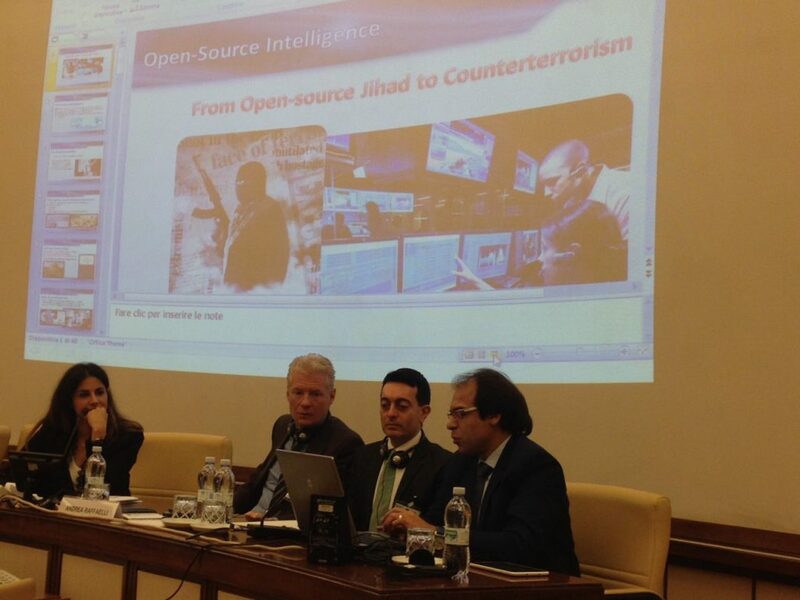 El Guindy delivered a presentation on Terrorists use of the internet and how they use Open-source Information to prepare and organize their attacks. The conference topic was “Evaluation of the role of national parliaments in promoting States’ implementation of the United Nations Security Council’s resolutions on Terrorism and Foreign Terrorist Fighters”. 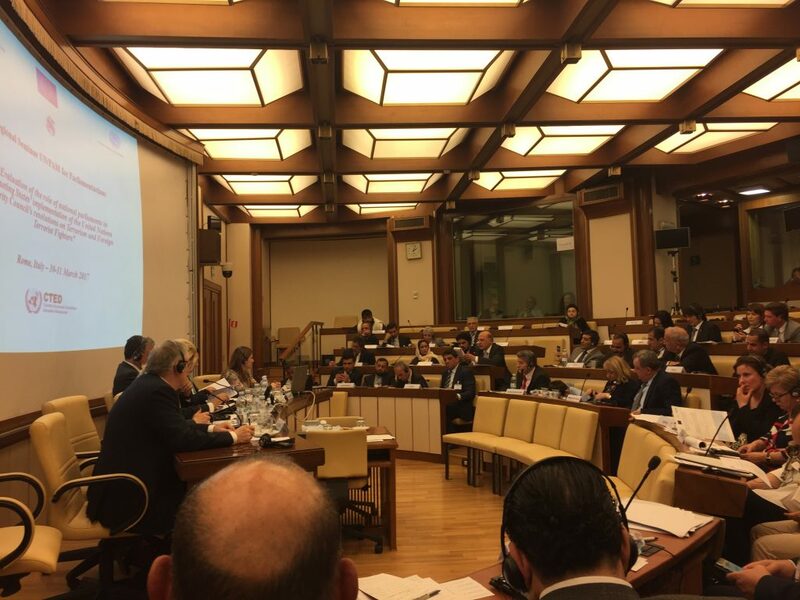 Welcome speech was delivered by the Speaker of the Italian Senate H.E. Pietro Grasso. 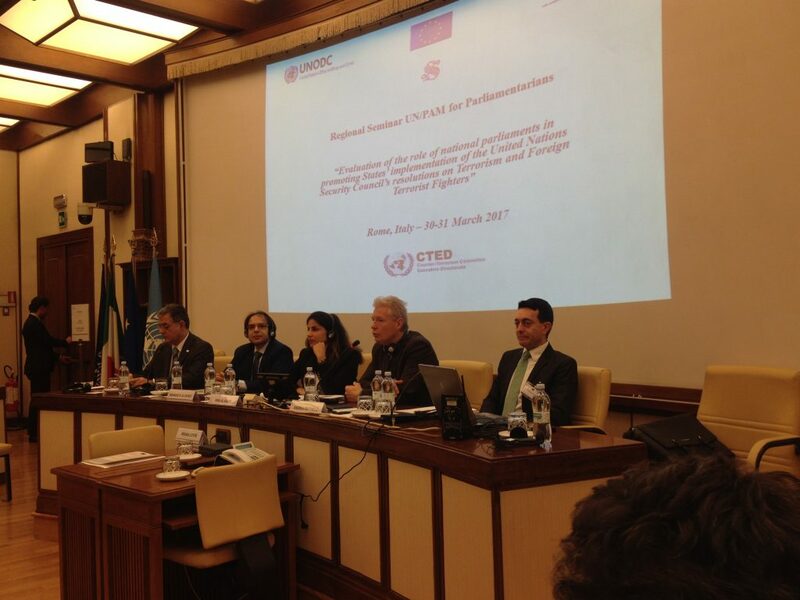 High level delegates from Europe, Middle East and the Mediterranean countries attended the conference for two days from 30 to 31 March 2017 in the Senate of the Italian Republic. for more information, click here. 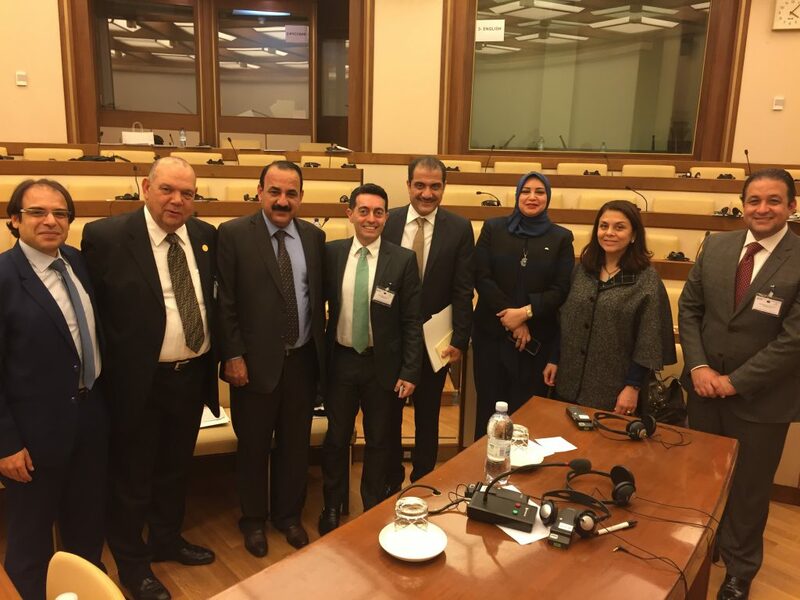 Dr. Mohamed El-Guindy participated in UNODC conference on counter-terrorism. 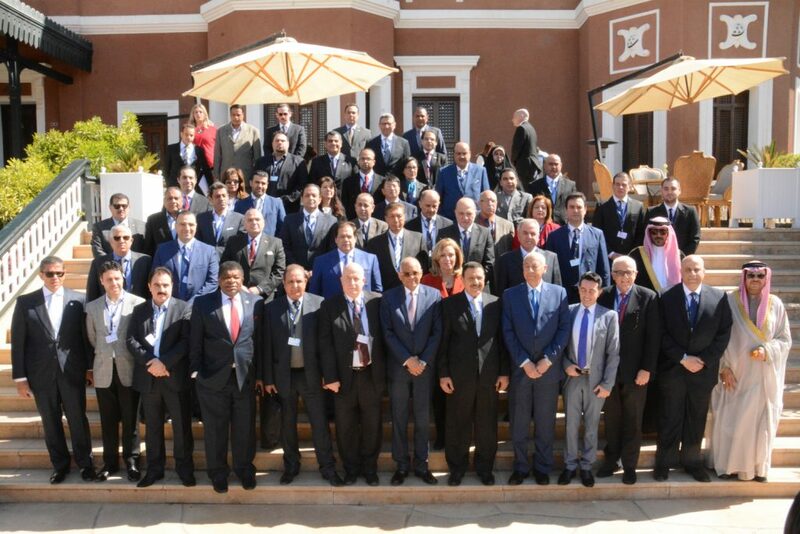 A major regional conference for parliamentarians of the Middle East and Northern African countries (MENA) on the Challenges Posed by Extremism Leading to Terrorism and Preventative Criminal Justice Responses is being held in Aswan, Egypt, from 31 January to 2 February 2017. The conference is part of the UNODC technical assistance programme on Strengthening Rule-of- Law compliant Criminal Justice Responses on the Prevention of Violent Extremism for MENA countries and is being held by UNODC’s Terrorism Prevention Branch (TPB) and the Regional Office for the Middle East and North Africa (ROMENA), in partnership with the Egyptian Parliament, the Inter-Parliamentary Union (IPU) and the Parliamentary Assembly of the Mediterranean (PAM). 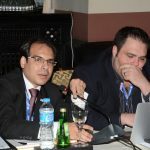 ISSA Egypt chapter’s activities featured in ISSA International Journal. 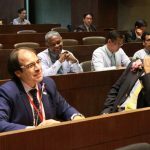 The latest international involvement for ISSA Egypt which includes National Security Conference in Taiwan with NATO experts in addition to ISSA Egypt membership in United Nations Department for Economic and Social Affairs are great steps for the chapter. For full information, you can download the full page in PDF from ISSA international journal. For full journal, please join ISSA international.